This year, our guest interviewer Lee Wong speaks to Elgin Ho on his film, Promises in December. “Promises In December” surrounds two main characters; an Indonesian domestic helper and a Singaporean taxi driver. Individually from different backgrounds, they share similar expectations through their struggle, searching for ideals of life in Singapore. On a December day, their lives interweaved abruptly revealing the sacrifices each of them must face. Elgin Ho was born in Hong Kong during the 80s while the country’s cinema industry was blooming. He got greatly inspired by the countless movies his parents brought him to watch every weekend. Little did he know that the magical connection experienced, would very much influence him in the way he now crafts his stories. His previous short films have made appearances in film festivals all over the world, including cities such as Pusan, Auckland, Toronto, Rome and Croatia receiving numerous awards. “Promises In December” is his final year thesis short film at the Nanyang Technological University, School of Art, Design & Media. Many dream to have better lives for themselves and their families. We make sacrifices and pursue these dreams. Sometimes by doing so, we lose ourselves and also the things we treasure most. Having always wanted to make a film which explored the values of sacrifices, “Promises In December” allowed me the opportunity to examine some of the most complex issues in our lives: love, loss, guilt, coincidences, obligation, faith, hope and redemption. Is the worth of sacrifices comparable to the hopes and dreams one would yearn in return? With our eyes set on new opportunities ahead, do we sometimes lose sight of what is closest to us? What inspired the story for PROMISES IN DECEMBER? During a film workshop at the end of 2006 with renowned Indonesian filmmaker Riri Riza, I chanced upon a documentary and it struck me about an event that most of us would have forgotten. It was evident that time can aid to erase pain and suffering but also blinds us from facts and lessons that we should learn. 'Promises In December' alongside the dramatized treatment of incidents do not serve as a factual account of the event, but rather a mean to remind us about the fragility of life and how one should count their blessings. You mentioned, "Having always wanted to make a film which explored the values of sacrifices". What's the biggest sacrifice you've made where filmmaking is concerned? It is a long and difficult road to become a filmmaker, let alone being one in Singapore. The decision to continue to pursue filmmaking opportunities upon my graduation from NTU is definitely the current biggest sacrifice I’ve made so far. In order to pursue filmmaking, I've sacrificed prospects of a stable job and also my family's hopes and dependency on me. Your short film features a foreigner (Indonesian domestic helper). You were born in Hong Kong. Your previous shorts include 'S439956' (for the National Museum's 'Digital Homeland' series), 'Foreign Dreams' and '1920s'. Is the migrant's dream a common theme? Do you consider yourself a foreigner pursuing a dream in Singapore? It is interesting that you have mentioned this as I grew up with Singapore for the past twenty years. I have never considered myself a foreigner but someone whom can offer a third person’s perspective on issues that concern those who live and work here. 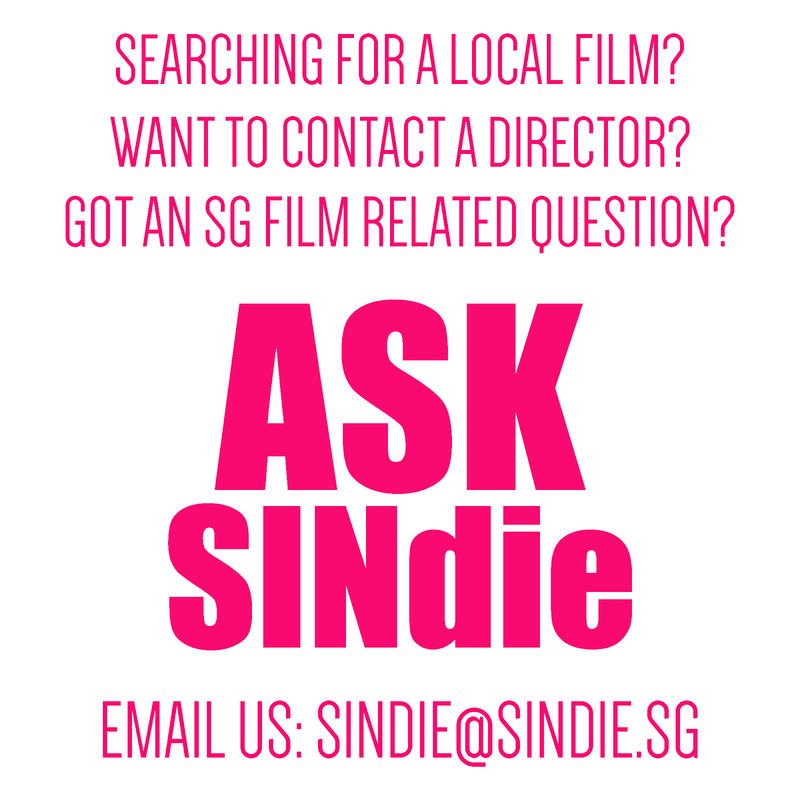 (As a filmmaker) do you think you're very Singaporean? Conversely, how are you different? I feel it is difficult to define what makes a Singaporean filmmaker. Is it the subject matter in the film or the nationality of the filmmaker that makes the difference? If one day Gong Li decides to make “Memoirs of a Geisha 2” here in Singapore with local funding but with all its story setting still based in Japan, will the film be considered a Singaporean film or will she consider herself a Singaporean filmmaker? Conversely I am hundred percent Singaporean as some of my foreign friends have put it; I have mastered the art of speaking the only language that can blend multiple dialects with English, Mandarin and Malay altogether in one sentence. In conclusion, I consider myself a filmmaker who has made films about living life in Singapore. Being a non-native Singaporean, does this influence your stories and your story-telling? I think to a certain degree it definitely does, as I seemed to be drawn to stories, which often deals with migrants living here. However, I personally think that a good story should not be bounded by nationalities, race or gender. PROMISES IN DECEMBER is shot on film. It's also your thesis piece for your NTU course in design and media. In the world of ever-common HD and video, why the decision to shoot on film? I made the choice to shoot on film as I have always wanted to work with the medium but didn’t have the resources to do so. As my thesis project, I was able to spend more time planning out the hefty financial side of this workflow. As film struggles to remain relevant in today’s increasingly digital world, I still believe that it is the best medium for capturing a story. There’s just something different when you record an image on celluloid film that is based on chemical emulsions compared to electronic pixels. What were the challenges in making the film? What was the most difficult thing? The scripting process was the most difficult part in making the film. Even before production, I knew I wanted to tell the story in a non-linear structure. My co-writer, Karen and I had to plot out the events and scenes carefully without losing the main focus on both the characters. It was also my first attempt in writing a narrative script with dialogue and the challenge was to make it sound as natural as possible. Why a non-linear narrative? What drew you to this approach? The non-linear narrative approach gives the audience space to puzzle the story together. I also wanted to use this structure of storytelling to enhance the dramatic reveal as a climax in the film. This project was partially funded by the Singapore Film Commission under the Short Film Grant. The rest of the cost was shared between my course-mate/DP, Teck Siang and myself. As both of us have been freelancing in the industry while we were studying, many of our crew friends extended their help in the production of this film. I would like to take this opportunity to sincerely thank them again for their kind assistance. How did you cast your characters? I met my male lead, Raymond Yong while working for another course-mate’s (Loo Zihan) final year thesis film, “Threshold”. His performance convinced me that he is well suited for the taxi driver character. We had a brief discussion and he agreed to take on the role immediately. We had an open casting call for the Indonesia domestic helper’s role. My eventual female lead, Corry Turistiowati turned up with a great audition. Although she had no prior acting experience, she was very natural in front of the camera. I also like her approachable features in particular and she shared many similarities to the character I had in mind. Lastly, it was a fortunate experience that I had an opportunity to work with stage and television actress, Janice Koh. I have always admired her works and thought she would bring great balance to the taxi driver’s character. I approached her with my script and she gracefully decided to take on the cameo but pivotal role in the film. The female child talent, who is seen as the Indonesian domestic helper’s daughter, is actually her daughter off screen in real life as well. What do you think about the local film industry? The local film industry definitely looks promising with the infrastructures currently put in place and various funding aid offered by the government. We only truly need the support of the local audiences to appreciate our efforts. It is depressing to go to the cinemas on a weekend and watch a local feature with only 5 other audiences watching it in the entire hall. 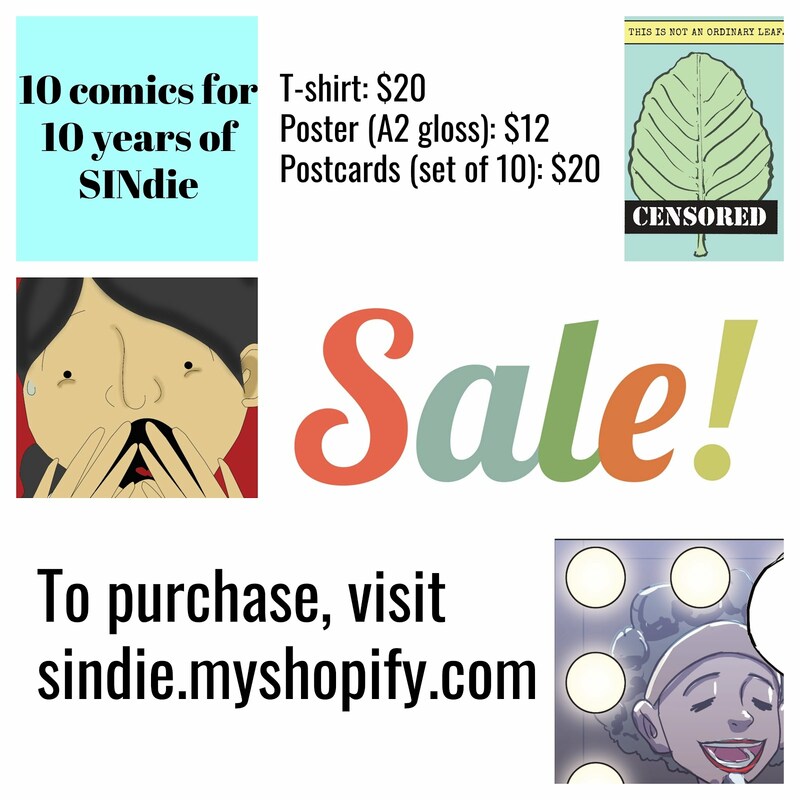 To all the readers of this post, please support made in Singapore films as it goes a long way to help the local industry to grow. I think local short films can never be too serious because the filmmakers will always want to convey a certain message through the story. It does not matter whether the film is a tragedy or comedy as long as the intended message gets across to its audience. What's next? Give us some insight to your upcoming works... Anything different in theme? I’m currently working with another filmmaker on a documentary feature based in Vietnam. Screening: Sat 17 April and Sat 24 April, 11.30am at Sinema Old School.